Sooner or later, it’s going to happen. Most likely, the moment will come just before his first head-of-state meeting in New York. Or perhaps it will happen just before his first side-bar meeting with Binyamin Netanyahu. Or then again, it may come as the cumulative reaction to a series of embarrassing encounters with fellow world leaders. But the moment will come. At some point this coming week, during his visit to the this year’s opening of the United Nations General Assembly in New York, US President Barack Obama is going to have a nearly irresistible urge. He is going to want to stand up to his hovering political handlers and the smothering bureaucracy which tries to dictate his every move, summon his personal dignity, and say “Enough”. In April of 1995, President Clinton played host to then-Prime Minister Benazir Bhutto of Pakistan. US-Pakistan relations were in sharp decline. A few years before, the US had begun to implement sanctions mandated by the so-called Pressler Amendment, under which Pakistan was to be punished with a complete cutoff of aid and of military sales if it were found to be pursuing a nuclear-weapons capability. The first President Bush had made such a finding, and now the ties between the two countries were being progressively cut. At the heart of the growing ill-feeling between the two nations was the US cancellation of a previously-agreed sale of 28 F-16 fighter aircraft. The Pakistanis had realised when they signed the purchase deal that it might be cancelled if the Pressler Amendment were invoked. Now, given the law and the previous assertion of Pakistani culpability from President Bush, there was no longer any question of delivering the aircraft. But there was another wrinkle. The Pakistanis had paid enormous sums of money which they could ill afford, in advance, for the airplanes. And now, according to the US, not only could the Pakistanis not have the warplanes, but they couldn’t have their money back, either. You see, the money wasn’t there anymore; it had been spent by the contractor. The planes had been built. There was no provision under US law to provide appropriated funds to compensate the Pakistanis. Yes, the F-16s could perhaps be sold to another country and the proceeds given to Pakistan, but that, too, might require approval from a hostile US congress, and would most likely not be forthcoming. In short, there was nothing to be done. And as if to add insult to injury, the Pakistanis were also being charged a hefty annual storage fee for each plane – each plane that they could not have. When the entire US foreign policy/national security apparatus begins to move in one direction, it is an impressive sight. A vast bureaucracy churns out elaborate rationales for its decided policy, and these are mind-numbingly repeated in dozens of different ways for use in dozens of different fora. This was a classic case in point. I saw it myself from inside the State Department bureaucracy, where I was serving at the time. Justifications for the patently unjustifiable were delivered to the Pakistanis at all levels. They were mouthed by State Department and White House spokesmen, repeated in Congressional testimony, delivered to the press in many different settings, elaborated in written responses to inquiries from congressmen and the public, to say nothing of internal communications in the Executive Branch. All of this bureaucratic momentum hurtled forward towards the climactic moment when President Clinton would deliver the same message, in person, to Prime Minister Bhutto. The preparations for such encounters are, again, highly impressive. Huge briefing books requiring hundreds of man-hours are drawn up. They contain scene-setters, and backgrounders, and elaborate policy justifications, backed up with legal briefs organised under alphabeticised tabs, followed by detailed talking points designed to turn the president into a virtual ventriloquist’s dummy. And then the whole lot is coordinated and cleared up through the system, through the secretary of state, and the National Security Council, to the president himself. And so it was here. But in this case, at the very end, having carefully studied all this codified nonsense, this monument to bureaucratic inertia, and just before walking in to meet with Bhutto, when he would have to look the Pakistani prime minister in the eye and defend the patently indefensible, Clinton did something no one – but no one – in the bureaucracy would ever have anticipated. With simple, clear-eyed common sense and the innate sense of justice with which God has endowed most five-year-old children, he said, simply, “but this is not fair”. And then, wonder of wonders, he walked in and said just that to Bhutto. If you have not served in America’s foreign policy bureaucracy, if you have not seen this from the inside, you cannot imagine the effect which these words would have had – to have a fully elaborated policy position publicly repudiated by the president, completely and unexpectedly, at the last possible moment, and on a world stage. It must have been wonderful. Alas, having seen all the preparation, I was not there for the denouement, having moved on to another job. I would have given anything to see it. But this was a comparatively minor issue, followed by few people outside South Asian policy circles. So just imagine, if you can, something analogous happening at the UN this week, when President Obama has to justify current US policy regarding the Palestinian bid for international recognition as a state. We all know what the Americans have been saying: That what President Mahmoud Abbas (Abu Mazen) is doing is counter-productive, that it is a repudiation of the Oslo Accords, that it is an attempt to avoid the necessity of reaching a negotiated solution with the Israelis. We have seen the US policy juggernaut gearing up, as the same arguments are repeated by US envoys to the Palestinians and to the Quartet, elaborated publicly by the secretary of state and by the White House spokesman, and delivered in dozens of other fora, both great and small. However, repeating the same thing, loudly and insistently, does not make it so. President Obama knows this very well. He understands the Israeli-Palestinian issue backwards and forwards. He knows the peace process is at a dead end. Early in his administration, he tried to revive negotiations by mandating a complete West Bank settlement freeze, only to be forced embarrassingly by Israeli Prime Minister Netanyahu to back down. When this past May he had the temerity to publicly tell the Israelis that their current policy towards the Palestinians is untenable and unsustainable, and to modestly suggest a negotiating formula to break the impasse, he was publicly chastised by Netanyahu and had to submit to the humiliation of seeing the Congressional leaders of his own party repudiate him in favour of the Israeli prime minister. In response, though he cannot admit it, Obama has washed his hands of the Palestinian issue. He knows he can do nothing more. And yet, the issue will not go away. Now, once again, he is being forced to publicly support an Israeli policy position fundamentally opposed to his own. He knows fully well that Netanyahu has no intention of permitting formation of a viable Palestinian state, and that the Palestinians have little choice but to pursue their current course at the UN. He likewise understands that the US’ lonely support for Israel and the inevitable US veto of the Palestinians’ bid for full UN membership will undermine, perhaps terminally, the US position in a democratising Middle East, and will expose the US’ nominal support for popular Arab rights as a fraud. All of this is well understood. We can all see it coming. And yet what is often forgotten is the human dimension. For the leader of a great nation, at certain points the public becomes personal, as it did for Bill Clinton one day in April, 1995. I do not know President Obama personally, but my sense is that this is a proud man. He does not see himself as an ordinary politician, but as a transformative leader. He has attempted self-consciously to carve out such a role for himself in the context of US relations with the Muslim world, but he has been repeatedly stymied, publicly and disgracefully. It is one thing to have to sacrifice principle in the face of political reality. All politicians are forced to do so at various points. But it is another to do so in a highly public manner, to have to mouth patent falsehoods in one-on-one meetings with fellow world leaders, who know better and who will think less of you as a result. This is what lies in store for President Obama in New York, and he knows it. For one as busy as a US president, there are many distractions, many ways to avoid confronting the unpleasant. But at some point, when the president is alone with his briefing book in New York, it is going to strike him. He will feel a tightening in his chest, and he will have an urge to pick up this plastic-bound tome to craven political expediency and hurl it at someone, and then to walk out and say what he really thinks. We all know that the president will do no such thing. He will suppress this urge, for to do otherwise would spell political suicide. No, the president will swallow his anger, and do what he must do. 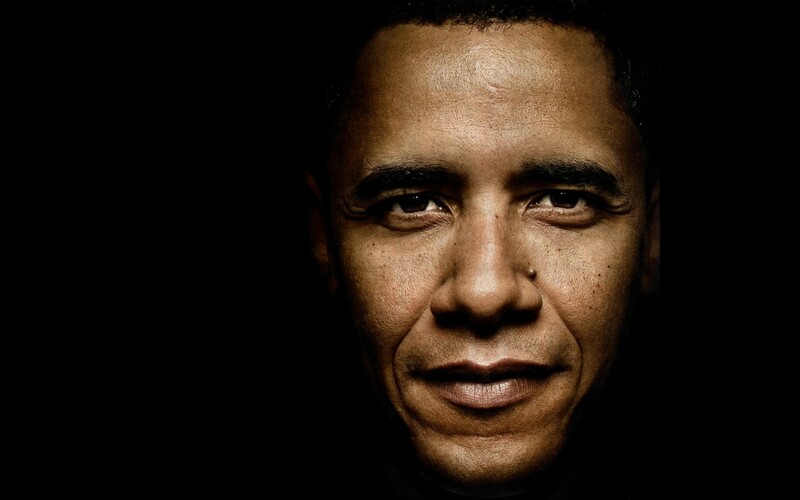 But it is worth giving some consideration, as the US again undermines its security and its global position, pointlessly and gratuitously, in blind allegiance to an ungrateful and self-destructive ally, that we will also be watching something else, something far more personal: The public mortification of Barack Hussein Obama. Robert Grenier is a retired, 27-year veteran of the CIA’s Clandestine Service. He was Director of the CIA’s Counter-Terrorism Center from 2004 to 2006.